Saturday the 27th of July, 2013, was a milestone for bouldering in the state of Virginia. Grayson Highlands State Park held the Ribbon Cutting and Grand Opening Event for the Split Rock and Haw Flats Trail; the first bouldering specific State Park trail in VA. 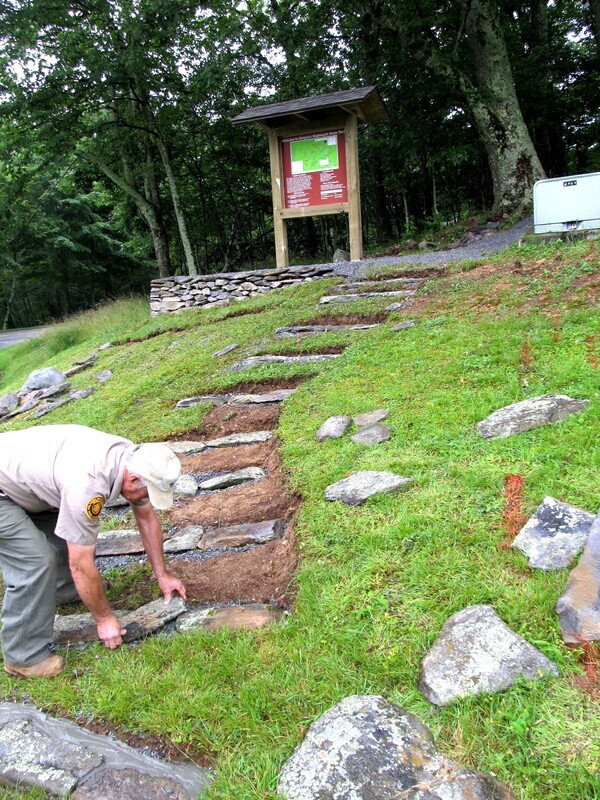 This trail, the first new trail to be constructed in GHSP in over 21 years, was built by climber volunteers and the Access Fund Trail Team on Memorial Day weekend 2013. 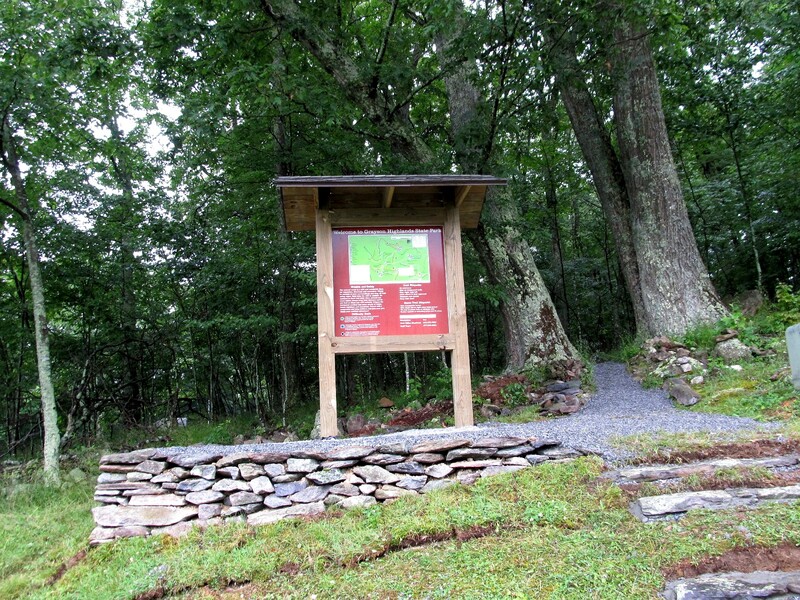 The finishing touches have been added in the past month and the trail is now open to the public! Despite the rain, a crowd of State Park employees, policy and planers, volunteers, and representatives came out to attend, including the District Manager Dave Collett, the Friends of GHSP Group, most of the GHSP park staff, Park Director Harvey Thompson, and Congressman Morgan Griffith’s Field Representative Nick McDavid. The ceremony started off with Harvey Thompson giving a short speech and trail description. 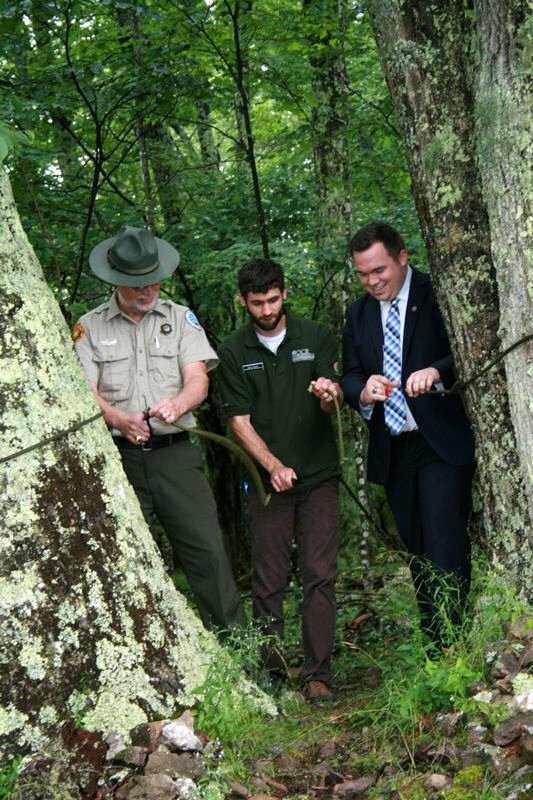 After the speech the ribbon that was strung up between two massive oak trees at the trail head (the “ribbon” was an old climbing rope of mine) was cut by Dave Collett, Nick McDavid, Harvey Thompson, and I. Afterward everyone ate cake, drank lemonade, and talked about parks and bouldering. Let me take a moment to talk about this cake… The dedicated heroes of GHSP, the Friends Of GHSP Group, had a BOULDERING CAKE made for this event. 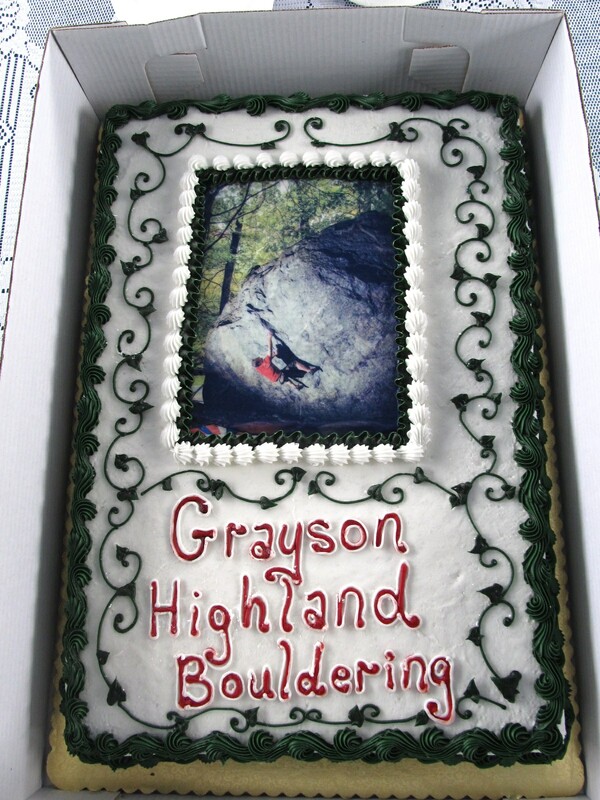 The cake had “Grayson Highlands Bouldering” written in icing under an icing printed photo of the True Grit boulder by Dan Brayack… Without a doubt one of the most awesome (and delicious) cakes ever constructed. 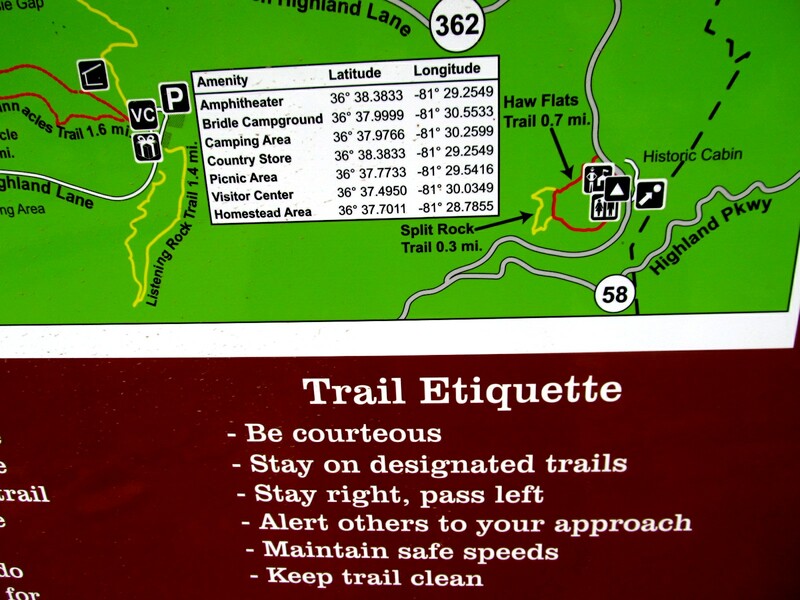 If you took a moment to rewind the VA bouldering tape a few years back, you would see that VA boulderers were ducking into the bushes at the sight of a Government vehicle for fear of repercussion, unsure of whether or not the sport was legal in our State Parks and recreational land management areas. We’ve come a long way. Now, on the 27 of July, 2013, I stood beneath a big blue tent in front of the Park Office eating a GHSP bouldering cake with my framed GHSP bouldering map set up on the table, the GHSP Bouldering guidebook on display, and the park’s rental crash pad laid out on the grass to dedicate Virginia’s very first State Park bouldering trail… All with congressional and State Park folks attending the event in celebration. This was no doubt a day that should serve as a milestone for bouldering advocacy in the Old Dominion.